An 18-year-old young lady, Ngozi Eze, has been r*ped to death by unknown persons in Enugu Ezike, Igbo-Eze North Local Government Area of Enugu State. 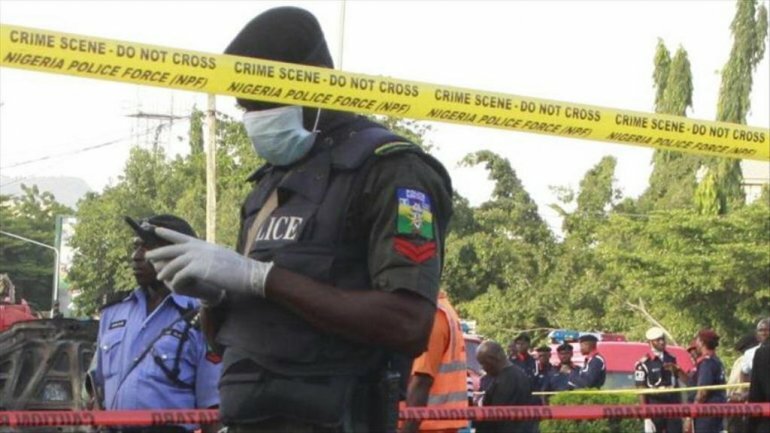 It was learnt that the deceased’s body was found in a bush behind Community Secondary School, Imufu, several hours after her family went to the police to report a case of a missing person. According to Eze; “I left Township School, Ogrute and went home straight, hoping to see her but she wasn’t there. We waited till 8pm and started looking for her. She was not the type that normally socialises. We did not sleep as her telephone number was switched off. It was only this morning (Wednesday) that we got information that her corpse was found here. Police detectives who came to evacuate her remains said that close observation showed lacerations around her neck and ankles, suggesting that she must have been strangulated by her r*pists, even as some of her books, pens, handkerchief and shreds of her clothing were scattered around the scene.